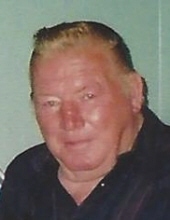 James Heldt, age 75, of Nunda, passed away on February 1, 2019 at the Madison Regional Health System. Funeral service will be at 1:30 PM on Tuesday, February 5th at Grace Lutheran Church, Nunda with Rev. Phillip Hofinga officiating. Visitation will be at the church one hour prior to the service. Burial will be in Lake Campbell Lutheran Cemetery, Volga. James Richard Heldt was born March 29, 1943 in Tyler, MN to Walter & Ethel (Sumption) Heldt. In 1947, the family moved to a farm near Nunda. He attended country school and later went to Rutland Grade & High School. After school, he worked in construction and drove a truck coast to coast. James lived in New Mexico for 27 years and because of his ill health, he moved back to Nunda in 2006 to retire. He enjoyed fishing and his love of wildlife. James put on countless miles driving around the country roads where he observed where the Canadian geese and pheasants were nesting. He would report the first hatchings, new-born fawns and area farmers’ new calves & crops. As the days would come and go, James would continue to monitor the progress of their growths. Survivors include his three sisters, Gloria Krumm of Volga, Shirley (Jess) Hanson of Nunda and Fay Hansen of Ramona; two brothers, Allen (Donna) Heldt of Fremont, NE and David (Vonnie) of Hardwick, MN and many nieces & nephews. He was preceded in death by his parents; brother, Charles and brothers-in-law, Stanley Krumm & Oluf Hansen. To send flowers or a remembrance gift to the family of James Heldt, please visit our Tribute Store. "Email Address" would like to share the life celebration of James Heldt. Click on the "link" to go to share a favorite memory or leave a condolence message for the family.